Yes, these are all mine. 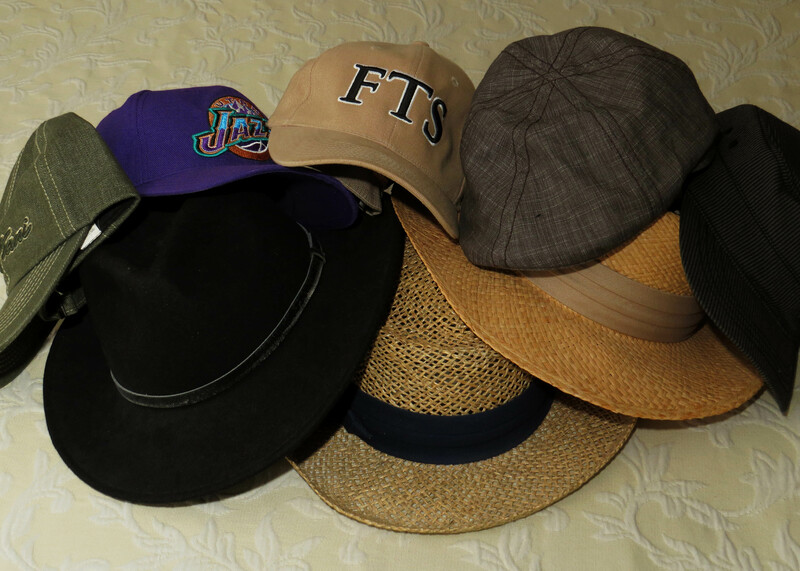 I seem to have this thing about hats. I like them, and own several. My wife and I might be on vacation, window shopping in the hot sun. We walk by a hat store–et voila! Another addition to the collection. Social customs like this persist long after their origins have become murky or have been forgotten altogether. But to this day, in parts of the U.S., it’s still considered disrespectful for men to keep their hats on in church, while it’s acceptable for women to leave theirs on. To what situation was Paul responding? Apparently, some of the Christian women in Corinth were violating social norms regarding how the sexes should act in public. Note, importantly, that Paul does not chide these women for praying and prophesying in church — only for doing so with their heads “uncovered” in some fashion. To what custom of head covering was Paul referring? Scholars speculate but disagree, and the plain fact is that there is no way to know for certain. But in the end, it may not matter much, because it’s possible to take the whole passage as representing yet one more instance of Corinthian Christians asserting their rights in socially disruptive ways, a topic which Paul has already addressed more than once in the letter. It will take a couple of additional posts to sort out some of the issues surrounding the text and its application. Despite suspicions to the contrary, for example, Paul is not teaching male-dominance in this passage. We’ll take that up next time.